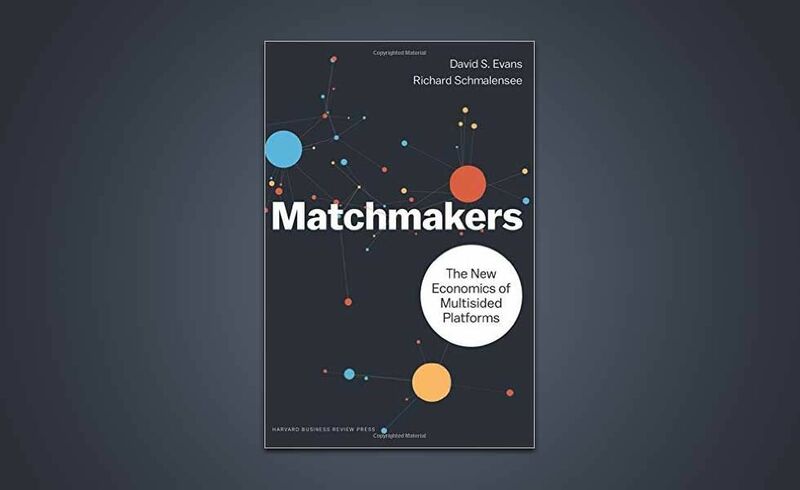 Your new book begins by describing the fundamental differences between conventional single-sided businesses and multisided platforms. Could you please summarize those? Multisided platforms are mainly about selling one group of customers, like restaurants with spare tables, access to another group of customers, like people who want to go out to eat. And often, as in the case of OpenTable, members of both groups value access to members of the other. Sure, platforms sometimes sell products and services, like regular (single-sided) businesses, but they are mainly about selling ‘access’. Because of this difference, a lot of traditional business rules don’t hold. For instance, the basic principle that businesses should almost never sell products or services at less than cost doesn’t hold for multisided firms. They often find it most profitable to subsidize one group of customers to participate in the platform so they can make money from charging another group for access to them. While transforming twenty-first century economies, you consistently emphasize how multisided platforms, in fact, have deep historical roots. How do those origins help us to understand many of today’s most successful businesses? Fundamentally, this helps us understand that the darlings of the 21st century aren’t using a new business model, but are using powerful new technologies to make an old business model work much better and add value in new settings. This, in turn, lets us see that the fundamentals of these new businesses are similar to those of old, familiar ones—from how they price, to how they solve the chicken and egg problem of getting both groups of customers on board. New startups can then learn from old successful ones. For example, the way Uber ignited and rolled out its pioneering ridesharing platform is very similar to how Diners Club ignited and rolled out the first payment card network in the early 1950s. Both started local, built up critical mass in a few geographic markets, and then expanded nationally and eventually globally. You discuss how contemporary information and communication technologies have ‘turbocharged’ some of the longstanding economic principles underlying multisided platforms. Besides technology, what is essential to being a matchmaker in 2016? A key principle seems trite until you see how many matchmaker wannabees ignore it: to be successful you have to reduce a really significant market friction. Take mobile money. Almost every adult in Kenya uses the MPESA system to send and receive money using their mobile phones. MPESA ignited its system in the late 2000s, when the only way to move money around the country was by using bus drivers and others as couriers. There were few banks, bad roads, and lots of theft: lots of friction. On the other hand, despite lots of hype, hardly anyone in America uses Apple Pay; it accounts for a miniscule portion of payment transactions 18 months after its launch. The basic reason is simple: Apple Pay is really slick, but it was already very easy to pay merchants by swiping cards. Not much friction at all. How is the leadership required for multisided platforms different from that of single-sided businesses? Most multisided platform startups, particularly truly innovative ones, face an incredibly complex problem in getting going. There are so many moving parts involved in getting the right stakeholders, in sufficient numbers, on board. Reactions from one or more stakeholder groups are often unexpected, and the business must be able to react quickly, often with little hard information. For a mature platform it is a bit different. Compared with single sided businesses the leader often has to balance the interests of different customer groups and the parts of the business that face them. Google’s Android operating system business has to constantly court hardware makers, developers, and telcos, in addition to consumers, to keep everyone on board and motivated. For those in more traditional businesses who want to explore becoming successful matchmakers, which issues should they first consider and address? First and foremost, traditional businesses should ignore all the buzz about the sharing economy, the gig economy, the platform revolution, and so. It is hard to resist jumping on the platform bandwagon, but we’ve seen this movie before. Buzz-driven bandwagons generally go off a cliff with lots of passengers on board. That said, traditional businesses may in fact benefit by adopting some of the features of platform businesses or by using their assets (including their customers) to create a new platform. In both cases they need to make sure they are reducing a big friction, so there is some chance of getting stakeholders actually excited, and they need to develop a realistic plan to build to critical mass so the platform can ignite. Amazon built a new platform brilliantly. They were a traditional online retailer for many years: they bought stuff wholesale and sold it retail. Once they had built up a huge customer base and many assets for delivering goods, they created a platform, Amazon Marketplace, for matching retailers and buyers. It now accounts for around half of their revenue.